“Dear friends of good music, It finally happened! 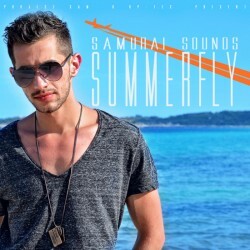 Project Sam celebrates its premiere and presents you the brand new song “Summefly”, which was inspired by not only love and sunshine, but life itself. The perfect mix for a song to provide the ideal summer feeling throughout the year. Just go out, have fun, live your life and be as marvelous as one can be. Creativity is everything! Project SAM feiert Premiere und präsentiert euch den Sommerhit “Summerfly”. Inspiriert durch Liebe, Sonnenschein und das Leben selbst, sorgt der Song für das optimale Summerfeeling. Geht raus, habt Spaß, lebt und seid einfach wunderbar!